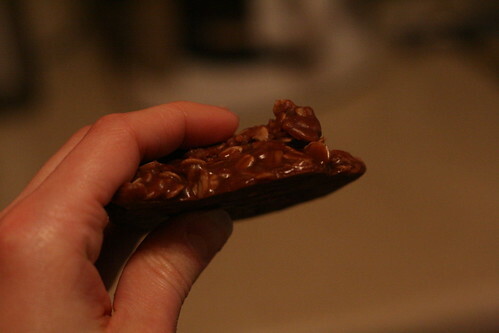 Sure, it takes three bowls, but look at that fudgy layer under that crispy layer! 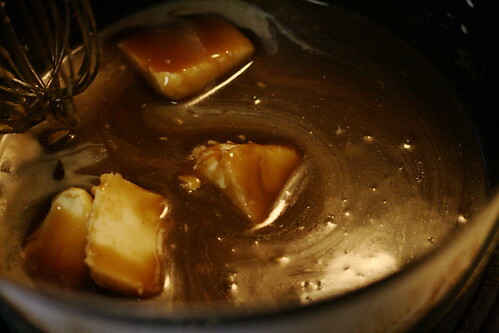 And yeah, I added salted caramel sauce. It was the next logical step. If I’d had ice cream, I’d have done that too. HOWEVER! 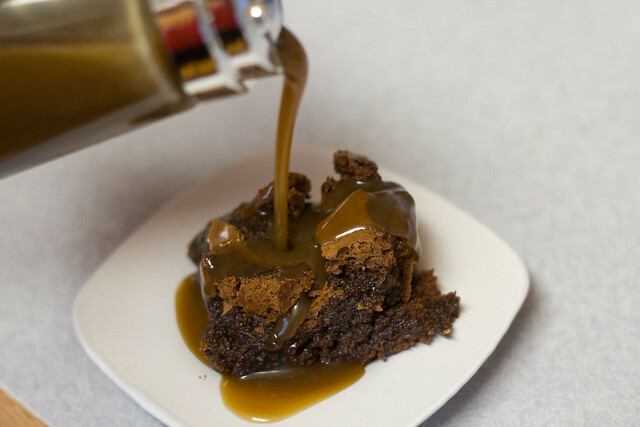 These brownies are more than capable of standing on their own. Preheat the oven to 350F, then grease an 8×8″ pan and line it with parchment paper. 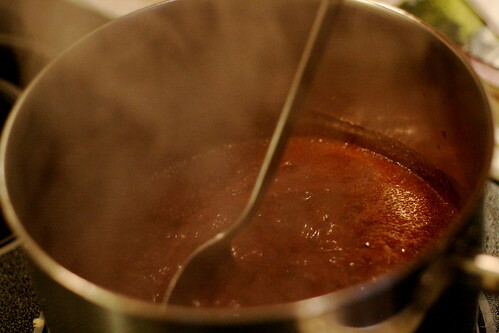 Add about three inches of water to a sauce pan. 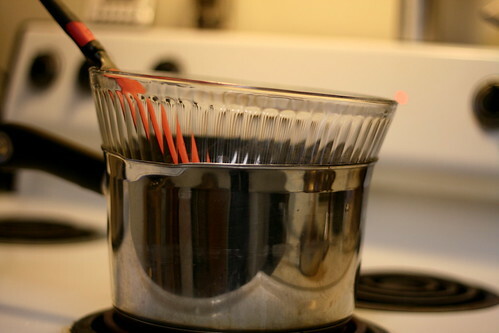 Then place a heat-safe metal or glass bowl over the top, making sure that the bottom of the bowl doesn’t touch the water underneath. 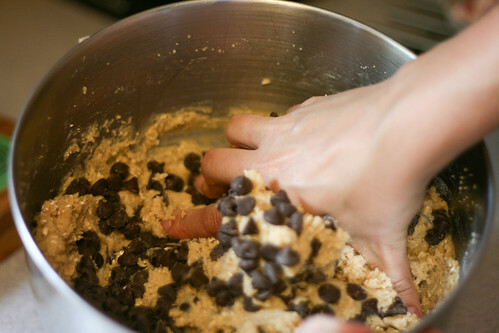 Turn the burner on to medium heat, and then add the chocolate chips and butter to the bowl. 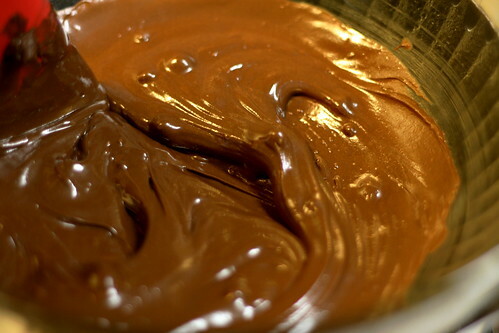 Stir frequently so the chocolate doesn’t burn, and melt everything together until smooth. Turn off the heat, but leave the bowl over the pan. 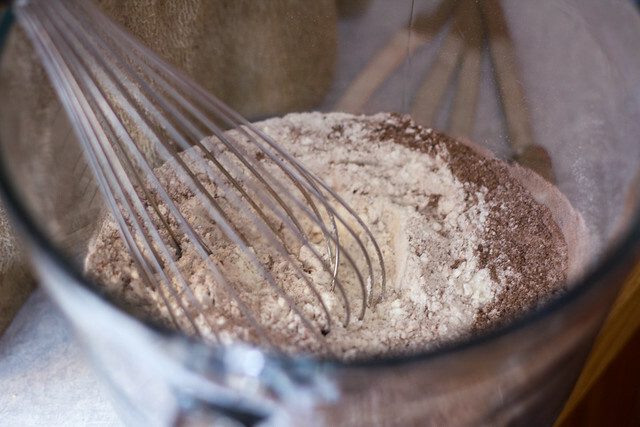 In another bowl, whisk or sift the flour, baking powder, cocoa and salt together. 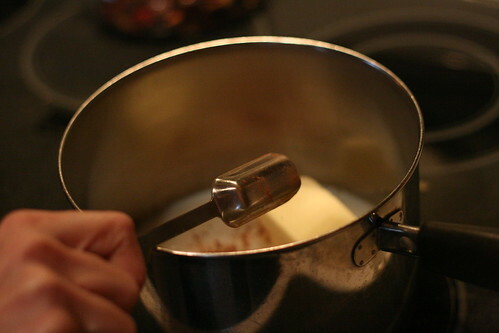 I use my stand mixer to beat the eggs, sugar and vanilla together, but regular beaters will also do the trick. 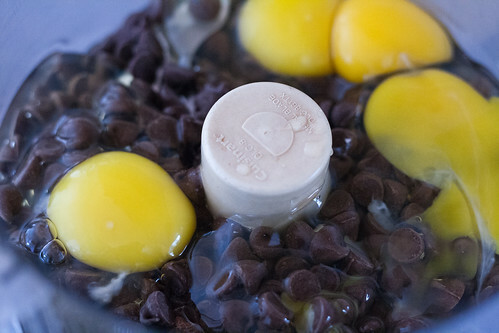 Slowly add the chocolate mixture while continuing to beat the eggs until it’s all combined. 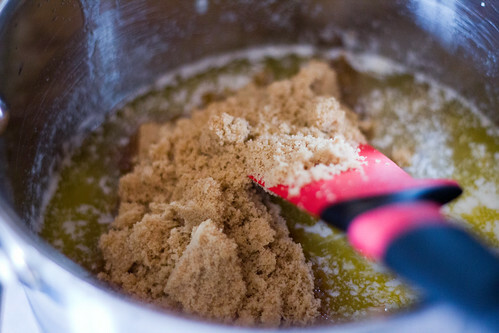 Add the dry ingredients and mix until combined. 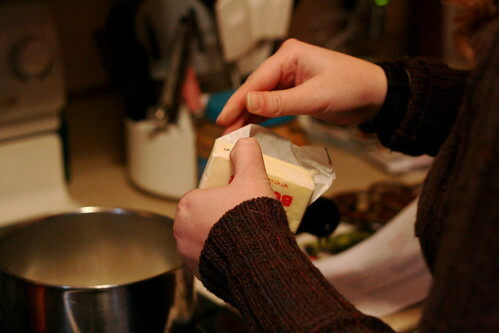 Pour the batter into your prepared pan, and sprinkle the course-grained salt over the top. Bake for 1 hour or longer. 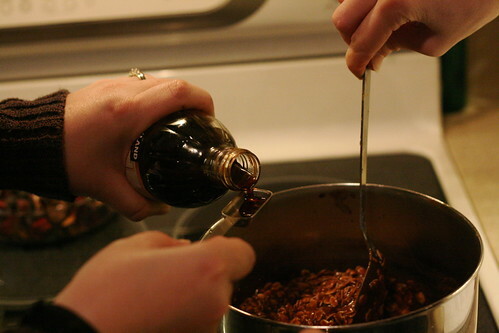 If you insert a knife into the center of the brownies to see if they’re done, the knife will never come out clean! You sort of have to go by sight, which I know can be frustrating. 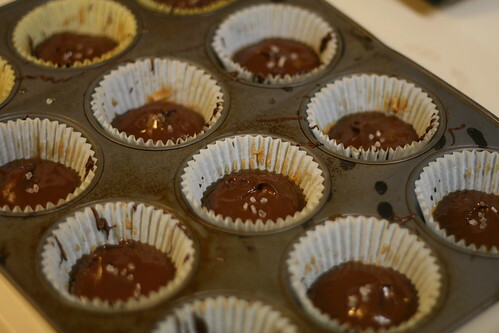 I know they’re done when the brownies just barely start to pull away from the edges of the pan. Just be careful not to over bake. 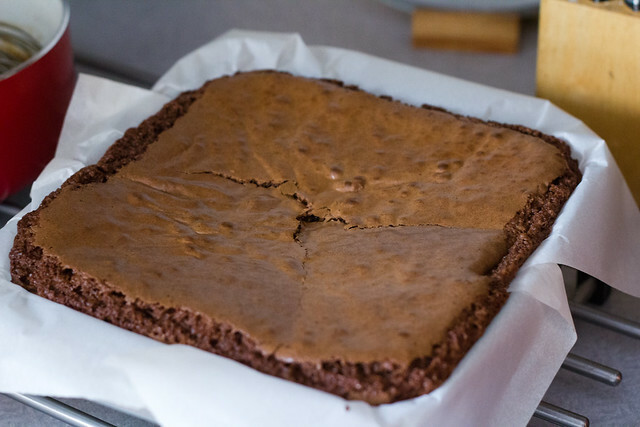 Allow the brownies to cool for 10 minutes in the pan, and then use the parchment paper to lift them out of the pan onto a flat surface. Allow them to cool for another 10 minutes before slicing. I have these ingredients on hand 99% of the time. And these bars are so fast to throw together that you can basically have them done before you give it a second thought. 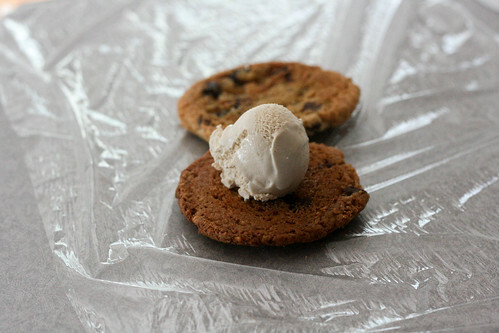 How about brown sugar and vanilla? No uh, chocolate chips? 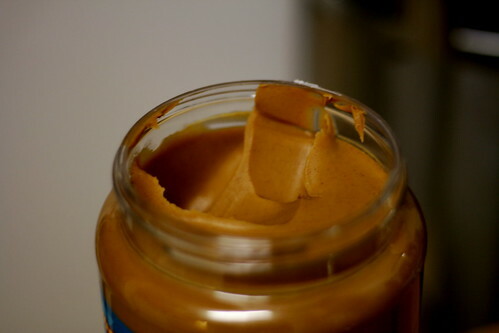 Peanut butter? Do you see what I mean?!? And friends? These babies are good. Like made 5 times in the last month good. I took these bars to my son’s school for Parent Teacher night, and I was stopped in the hallway twice by someone who wanted the recipe! 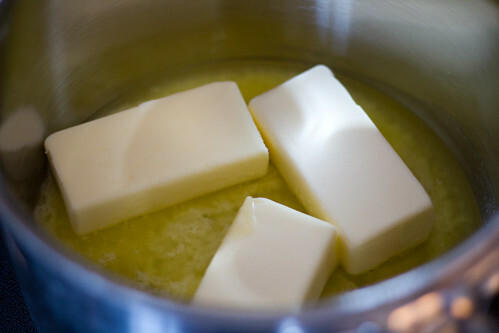 In a large saucepan, melt the butter over medium heat. 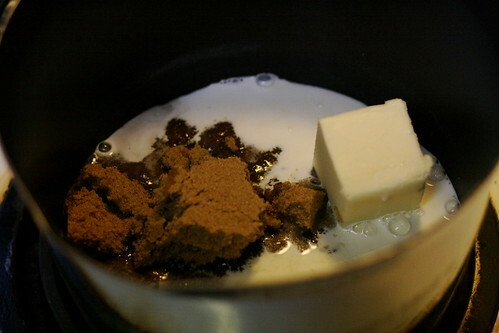 Add the brown sugar and vanilla and stir to combine. 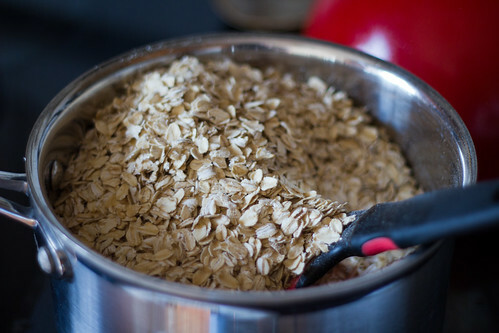 Add the oats and stir until everything is moistened. 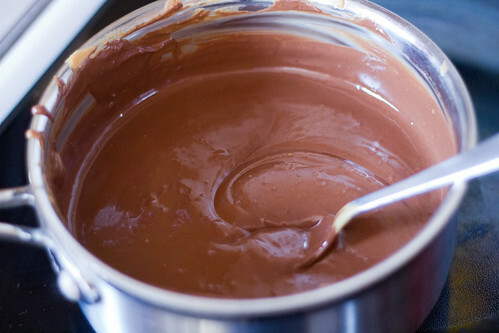 Turn heat to low and continue to stir this mixture until the chocolate is ready. 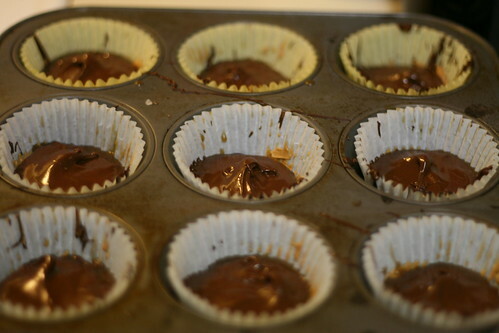 At the same time, combine the chocolate chips and peanut butter in a sauce pan over medium heat. 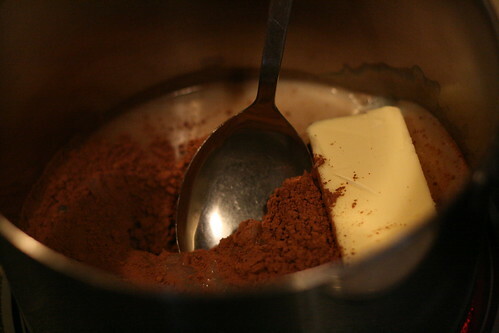 Stir often to prevent the chocolate from burning. 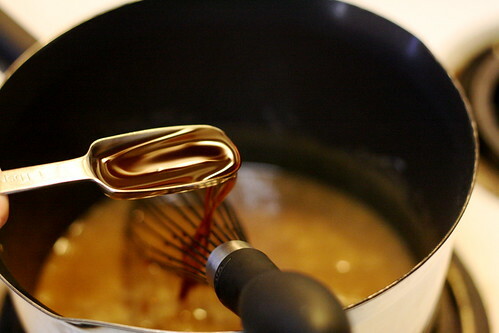 When the mixture is completely melted and smooth, remove the pan from the heat. 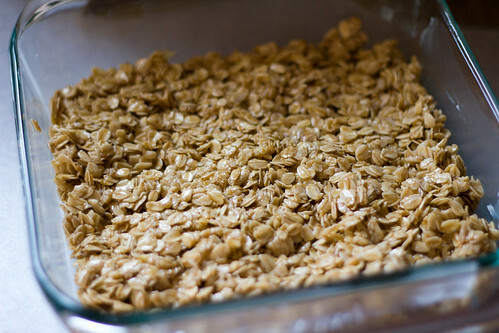 Pour just over half of the oat mixture into the 9×9 pan. 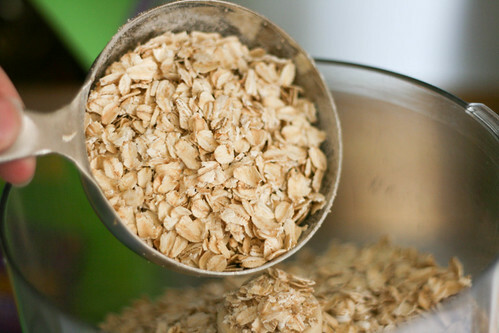 Use a spatula to spread and compress the oats. 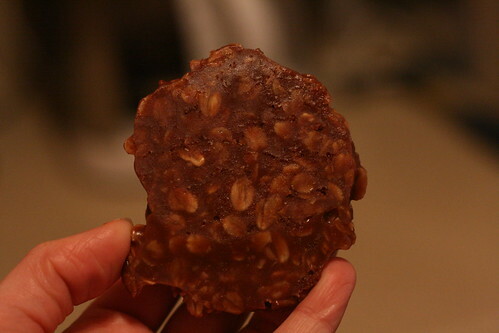 I used a sheet of parchment and pressed the mixture down with my hands. 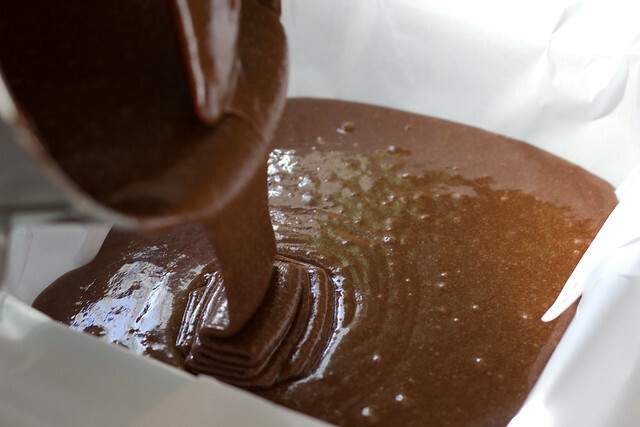 When you have a smooth surface, pour the chocolate over top, and use your spatula to spread and smooth the chocolate. 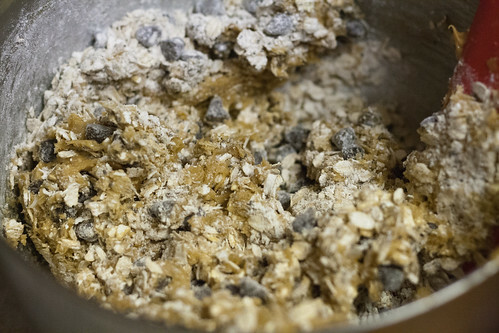 Carefully drop the remaining oats over top to create clumps. 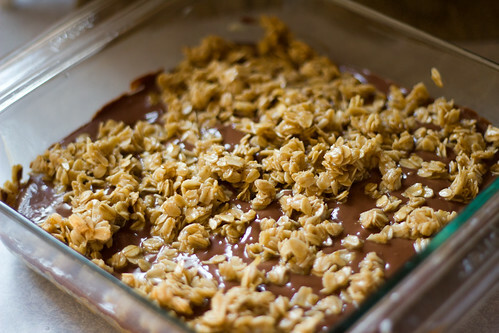 Freeze the pan for 1 hour, or refrigerate overnight. 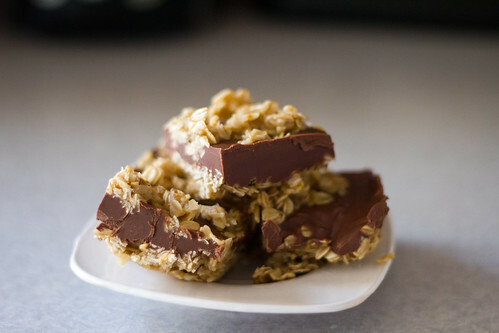 Allow it to sit out at room temperature to make the bars easier to cut. 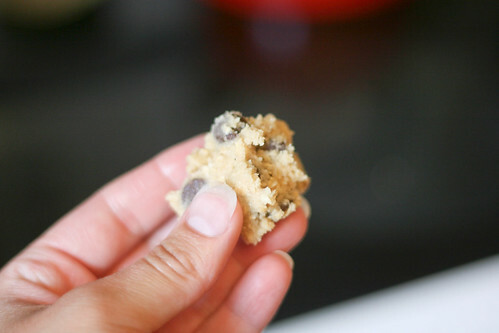 And while you’re at it, you might as well make a double batch and keep one in the freezer. Sometimes* I get these cravings. 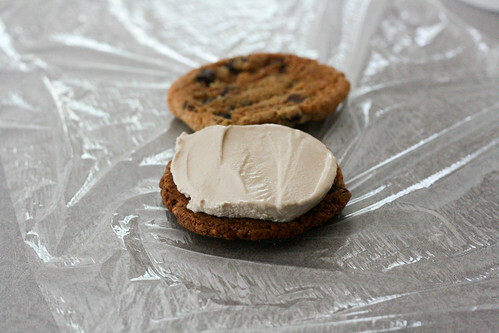 Serious, serious cravings. For chocolate. Rarely do I crave anything besides chocolate. Except coffee, grapefruit, and peanut butter. 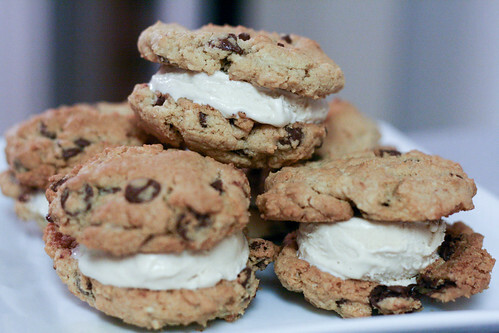 I pretty much crave these things constantly. I’m sure I’m not lacking nutrients found in chocolate, it’s completely mental. What evs, dude. I like chocolate! 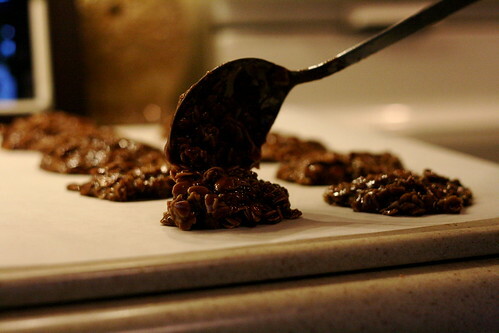 I have the most epic chocolate chip oatmeal cookie recipe ever, but it’s kind of an involved process. 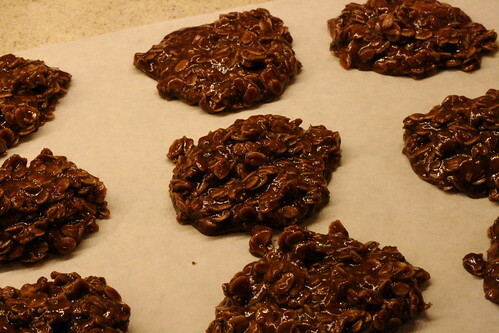 These cookies, however, are very similar in texture and chocolatey goodness, but they come together in a snap. 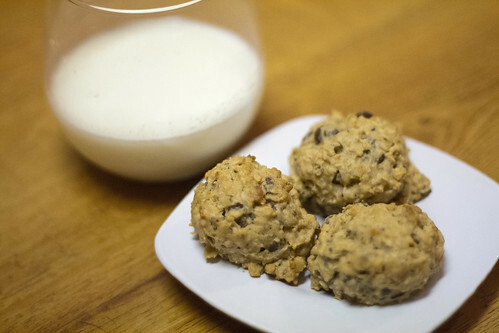 So when it’s 7:30 on a school night, and I NEED some tasty morsels, I can whip these up and be in bed by 9:00. 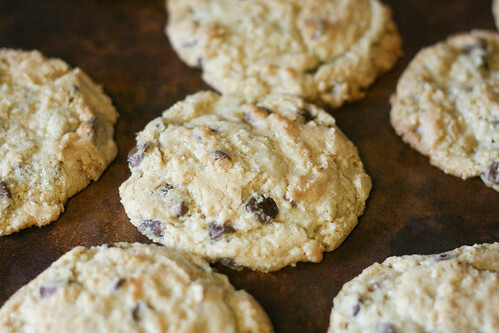 As an added bonus, these cookies have chia seeds. So we can basically call these healthy. 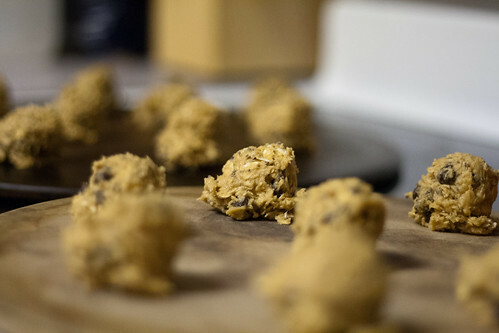 Even though they’re chocolate chip cookies. Lined up and ready for consumption! 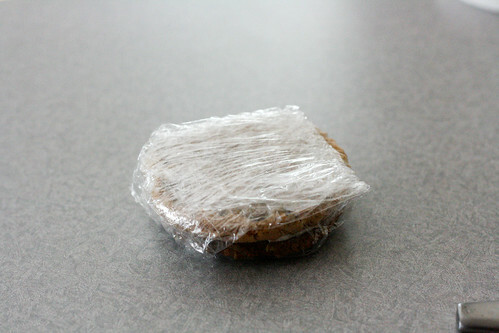 These cookies taste best on the day that they’re made, but they’ll keep pretty well in an air tight container for a few days. 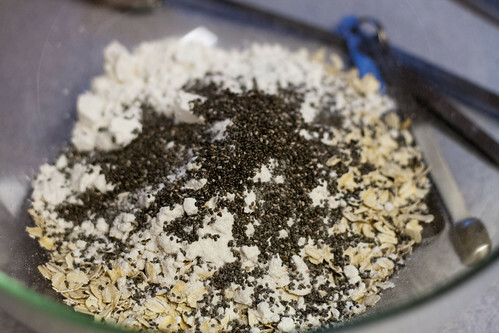 Mix together the oats, baking powder, flour and chia seeds. 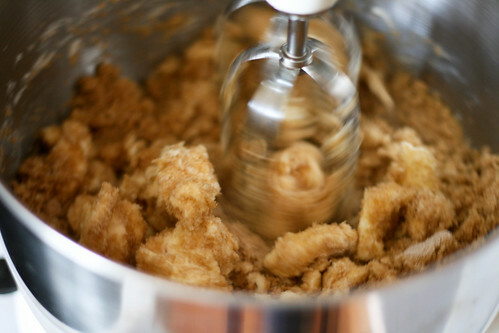 In a stand mixer or with a beater, beat the butter and brown sugar until fluffy. 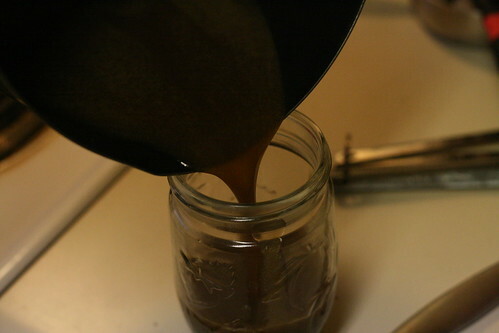 Add the peanut butter, eggs and vanilla, and mix until combined. 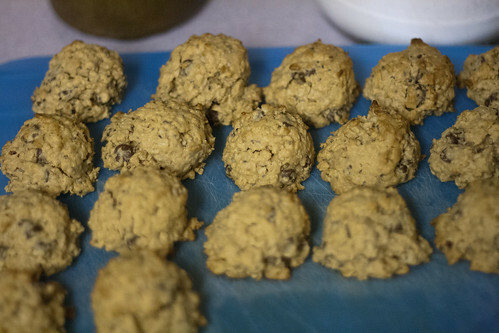 Add the oat mixture to the butter mixture, and add the desired amount of chocolate chips. 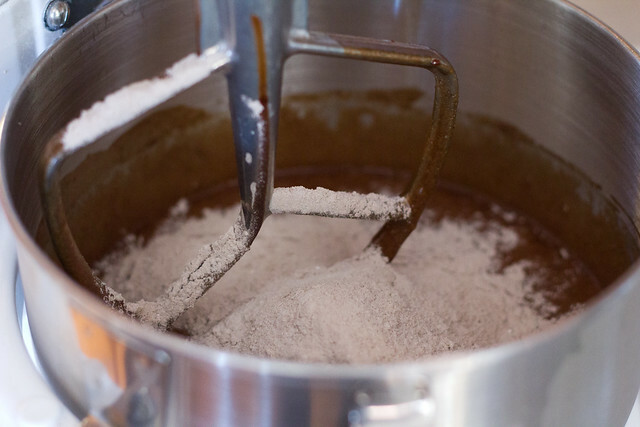 Mix until well combined (with a wooden spoon or your hands). 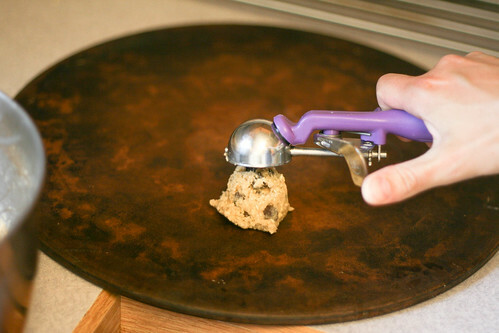 Scoop dough onto stoneware pans or lined baking sheets. Bake for 12-15 minutes. 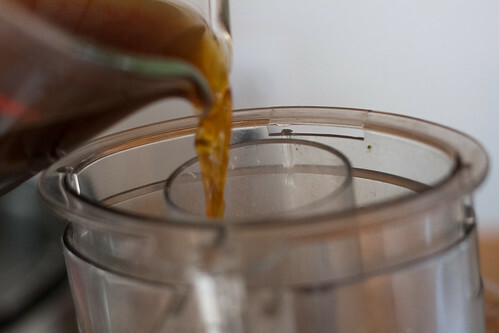 Serve warm with coffee (or grapefruit or peanut butter ;)) or milk. So! What do you crave? 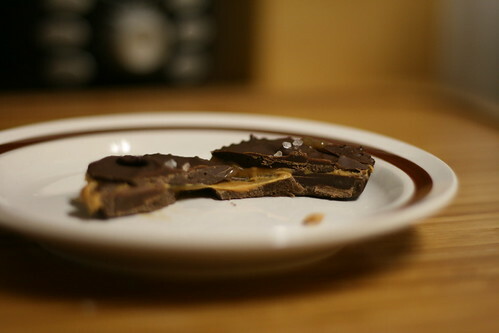 Yes, I said salted caramel peanut butter cups. I make some things that impress me, but I know it’s a really great sign when my husband is impressed. It hardly ever happens. I mean, he likes the things that I make, but he doesn’t really get excited about them like I do. It’s just the difference in our personalities. I get excited about every thing, and he gets excited only when it’s truly excellent. I can live with that, especially because it’s a good indicator that I’ve just made something that needs to be shared. Except I can’t share these with you. Because we ate them. So I’ll do the next best thing and tell you how to make them. 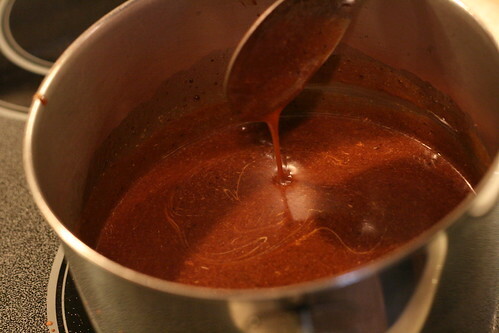 I started with the Pioneer Woman’s Caramel Sauce Recipe. I love that I can pretend it’s healthier because it’s made with half and half, instead of cream. Just ignore the butter. Because it’s really not that much. 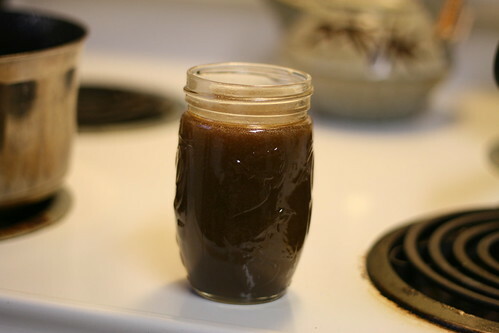 This sauce only gets better as it cools in the fridge. 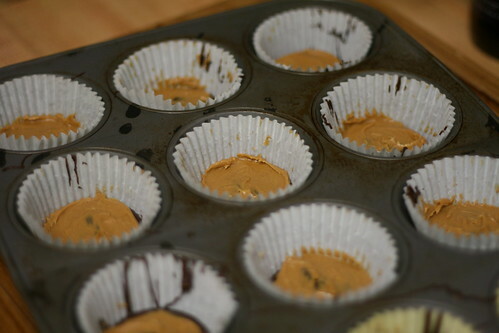 If you can wait a day before making the peanut butter cups, you won’t regret it. I couldn’t wait. They turned out fantastic. This is my double boiler. MacGuyver style. All you have to do is make sure that the water in the sauce pan doesn’t touch the bottom of the heat safe bowl. 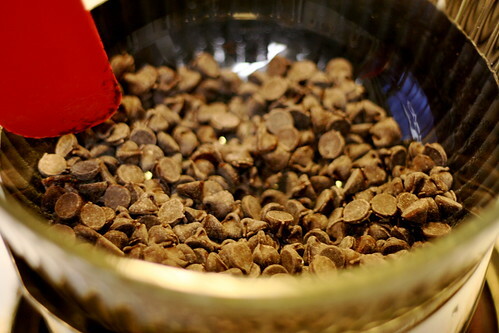 Pour a cup of chocolate chips into the bowl, and set the heat to medium. 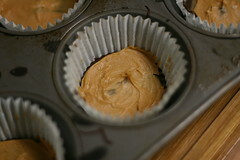 Stir pretty constantly, and line a cupcake tin with cupcake papers. 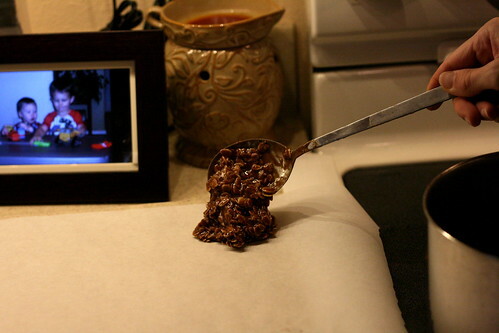 Spoon a thin layer of chocolate into each paper, spreading it out to make sure it covers the bottom. 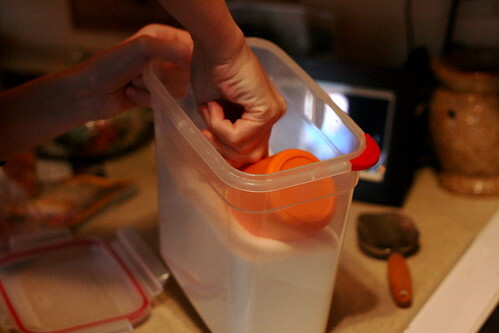 Then put it in the freezer for about 10-15 minutes. Just until the chocolate is really solid. 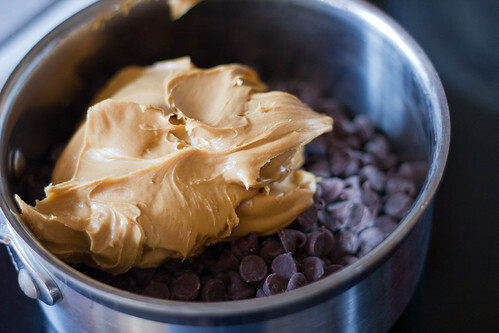 When the chocolate is ready, grab your peanut butter. You’ll also need a spoon. I found that the back of a small spoon worked the best to spread the peanut butter over the chocolate. It allows you to use as much or as little peanut butter as you’d like, and the shape of the spoon allowed me to leave the chocolate in the paper. 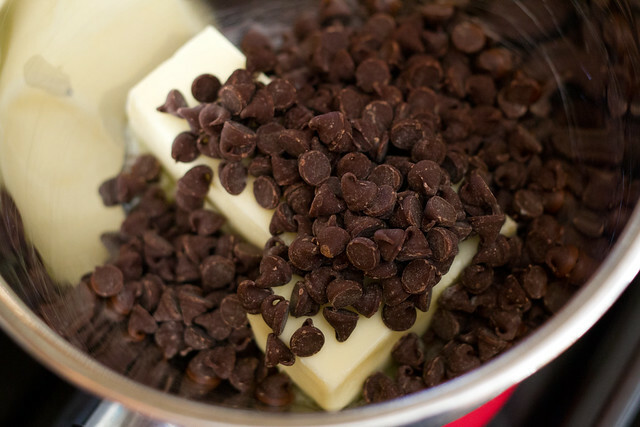 At this point, you’ll want to add another cup of chocolate chips to the double boiler and melt it. 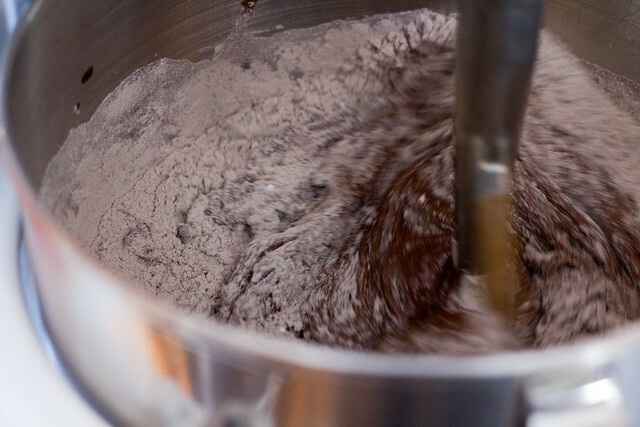 You can simultaneously keep an eye on the chocolate and perform the next few steps. 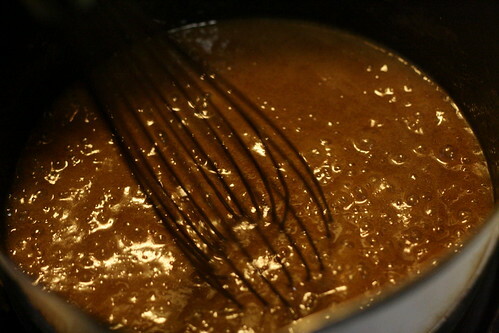 Caramel sauce. Mine still hadn’t totally thickened yet. 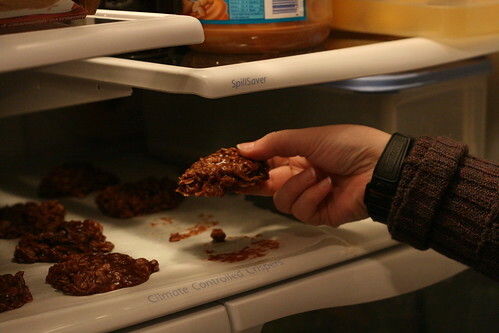 I had it in the refrigerator, and then the freezer for a minute, so it was cool enough to not melt the chocolate. If you had told me two years ago that I’d be putting salt in a sweet treat, I’d have cried. “Salt doesn’t go in chocolate or caramel! That would ruin it!” No, Past Me, it only makes it better. I promise! Something about the salt really enhances the flavor of the caramel and the chocolate. And you don’t use very much. You really do need a course grain for this though. 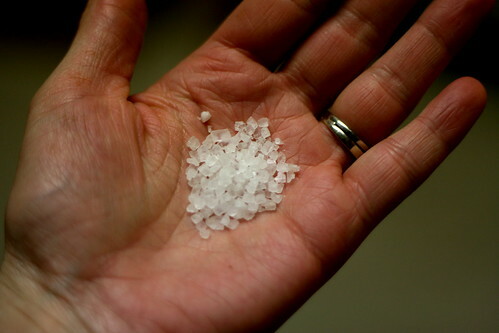 Table salt would get lost very quickly, and you run the risk of over salting. 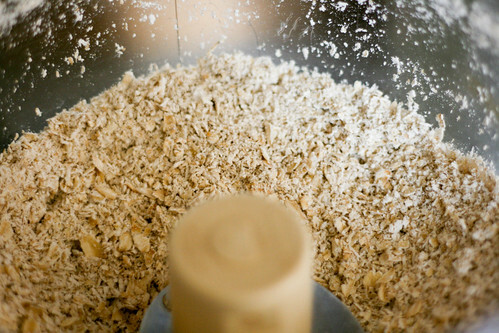 With the big grains, you only need a few granules on each. 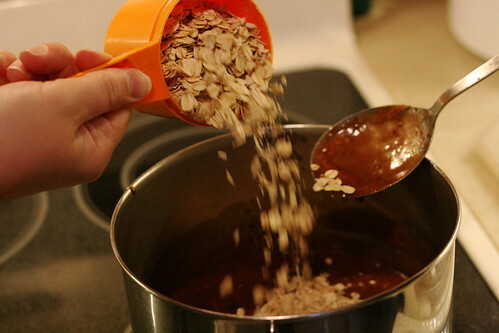 Sprinkle a few right in the caramel. 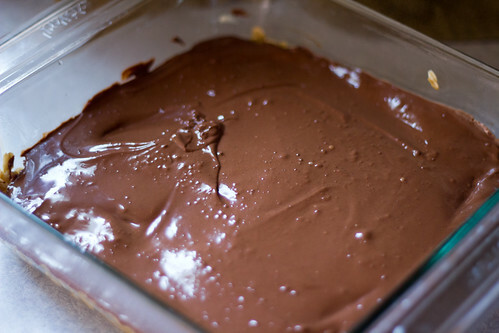 Add another layer of chocolate, gently pressing to make sure that is spreads all the way out to the very edges. Then add another few granules of sea salt. I only went with four or five per cup, since these won’t dissolve. You get a great zippy bite with each one. 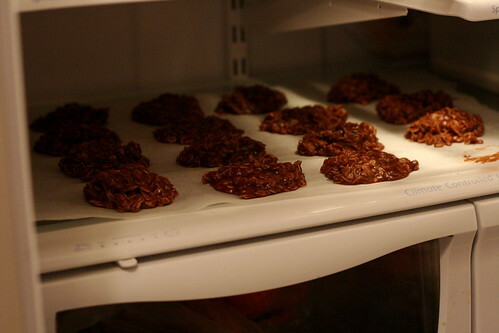 Get those babies in the freezer, but only for about five to ten minutes this time. You don’t want to break your teeth. 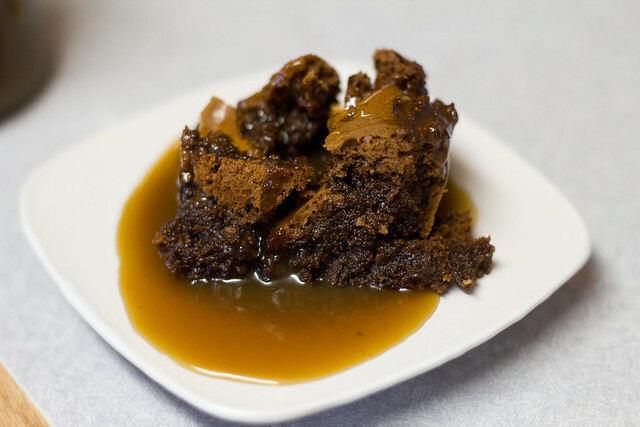 The first time I made these, I didn’t have caramel sauce. 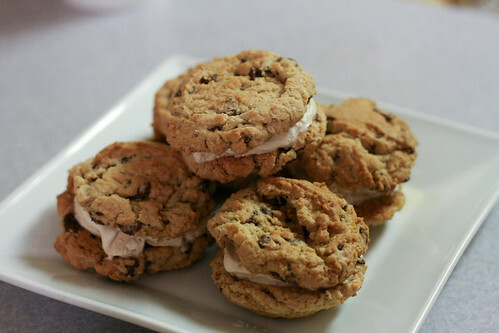 They were good, but these…These are just over the top delicious! Store them in a ziplock bag in the refrigerator. And don’t forget to share! 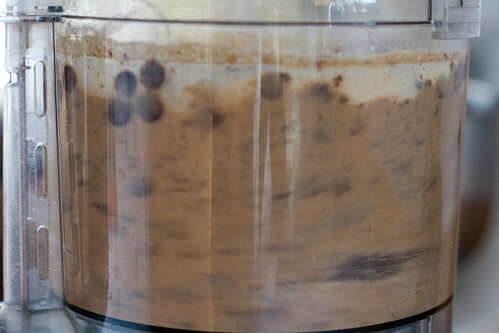 2 cups chocolate chips, separated. 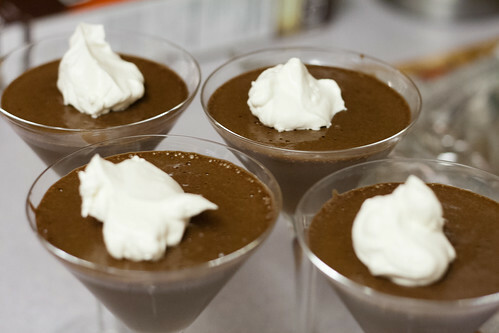 Dark chocolate would be heavenly, so I’ll try that someday. 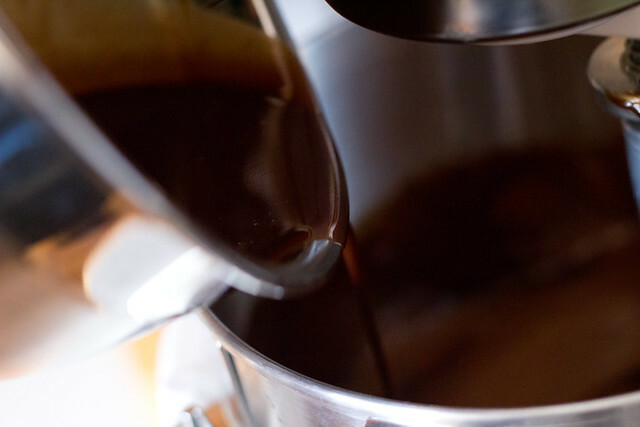 Melt one cup of chocolate in a double boiler, stirring often to prevent burning. 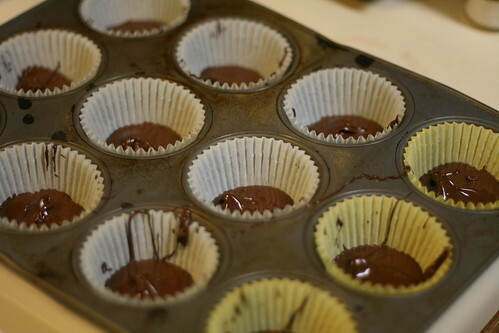 Line a muffin tin with paper liners. 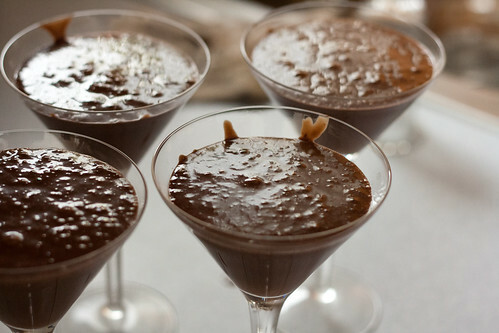 When the chocolate is completely melted and smooth, spoon a thin layer into each cup. 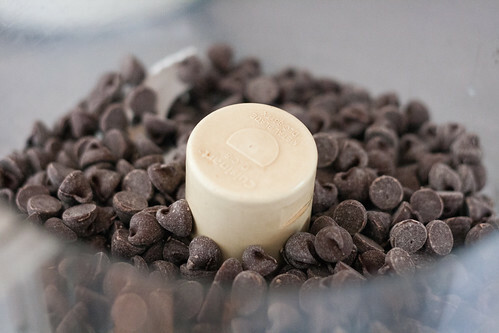 Gently press the chocolate to the edges of the paper. 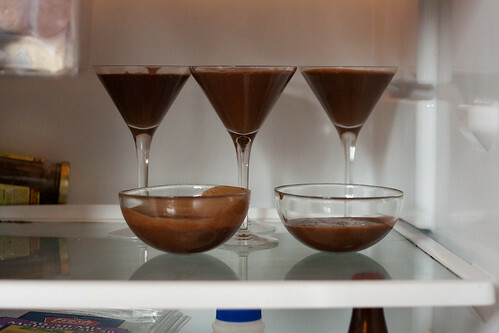 Place chocolate cups in the freezer for about 10-15 minutes. 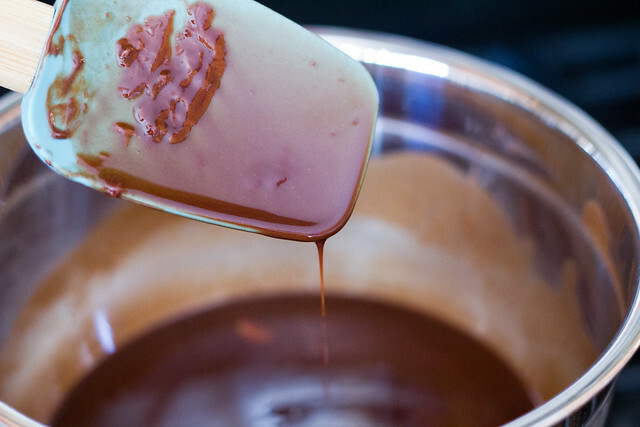 Add the other cup of chocolate to the double boiler. Stir often. 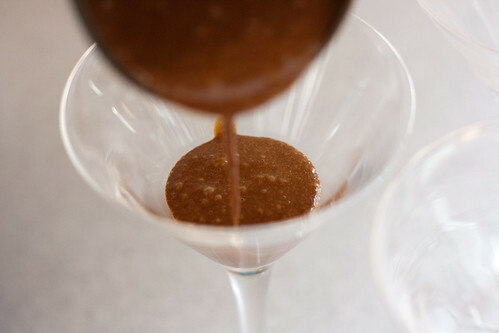 When the cups are set and hard, use a spoon to spread peanut butter over the chocolate. 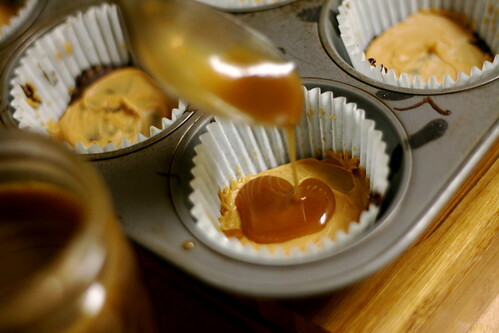 Then drizzle the caramel sauce on top of the peanut butter. 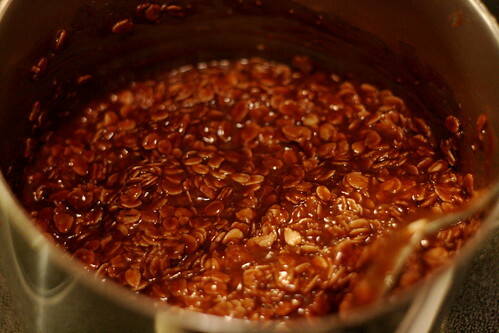 Sprinkle a few grains of sea salt on the caramel, and then spoon another layer of chocolate on top. 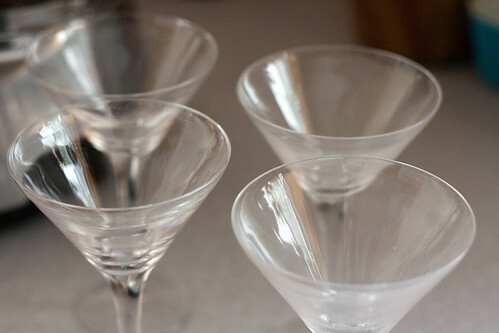 Garnish with a bit more salt, and place the cups in the freezer for about 5-10 minutes.